Burris Optics combines state-of-the-art engineering with refinements for accuracy in the 4-20x50 Veracity Riflescope. 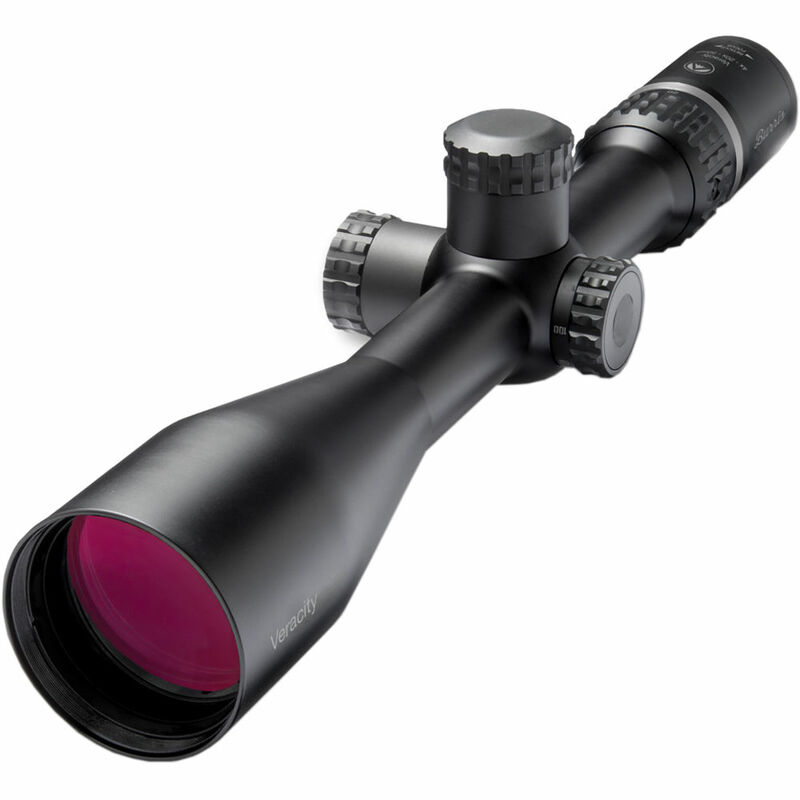 This riflescope is optimized for hunting prairie predators, elk, or dangerous game. The optical system offers bright and clear images, with high contrast and true colors, thanks to the indexed-matched multi-coated optics. To compensate for wind and ballistics you have adjustable windage and elevation and a 1/4 MOA impact point correction. One of the central features of this optic is the Ballistic Plex E1 FFP Varmint Reticle. It is located in the first focal plane and allows you to estimate accurate ranges, ballistic drop, and windage at any magnification with its system of reference points. The reticle features four medium posts, thin crosshair, and cascading dots for quick windage compensation. This pattern is designed to provide you with ultra-fast aiming at any range and high visibility in low-light conditions. Another definite highlight of this optic is the Modular Adjustment Dial (M.A.D.) System that allows you to choose from competition-style exposed knobs, capped knobs, or custom knobs on both windage and elevation adjustments in order to match precisely the trajectory of your ammunition. The housing is made of lightweight and durable aluminum with a corrosion-resistant anodized finish. It features a 30mm single-piece maintube for resistance to shock and recoil, nitrogen filling for fog proofing, and O-rings for waterproof performance. The fast focus eyepiece's zoom ring and adjustment turrets and rings feature heavy knurling for improved tactile traction and non-slip operation in all weather conditions. Box Dimensions (LxWxH) 17.4 x 4.7 x 4.1"